Are you in constant fight or flight mode? 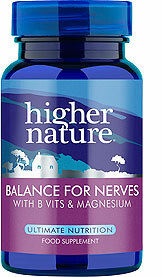 Try Balance for Nerves, specially formulated to help you feel more calm, relaxed and in control. Designed to support the adrenal glands and nervous system, Balance for Nerves uses natural botanicals, vitamins, amino acids and magnesium to encourage a relaxed disposition, with taurine and theanine to aid the essential production of GABA. 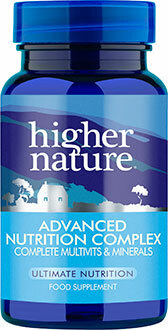 Our formula is free from valerian, making it an ideal choice for day or night. Niacin (Vitamin B3) 40mg, Vitamin B6 20mg ,(as pyridoxine HCl 10mg and pyridoxal-5-phosphate 10mg), Folic acid 100µg, Vitamin B12 20µg, Pantothenic acid (Vitamin B5) 100mg, Magnesium 70mg, Theanine 50mg, Lemon balm extract 3:1 37mg (Equivalent to lemon balm powder 100mg), Passion flower extract 4:1 100mg (Equivalent to passion flower powder 400mg), Taurine 550mg. Take 2–4 capsules a day. 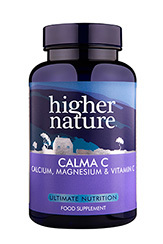 Since taking these capsules every day for several months I have found that my restless leg syndrome which I have suffered with for years has disappeared. So I would highly recommend these capsules for the complaint. Focus on St Johns Wort - a bright yellow star! 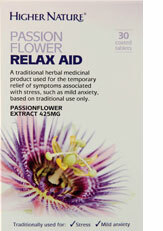 The herb St Johns Wort is a tried and tested staple in the natural health Practitioner’s armoury for low mood. St Johns Wort, whose flowers are bright yellow stars, is native to Britain and Europe but has now been naturalised throughout the world. Work that grey matter! The old adage 'use it or lose it' is true.